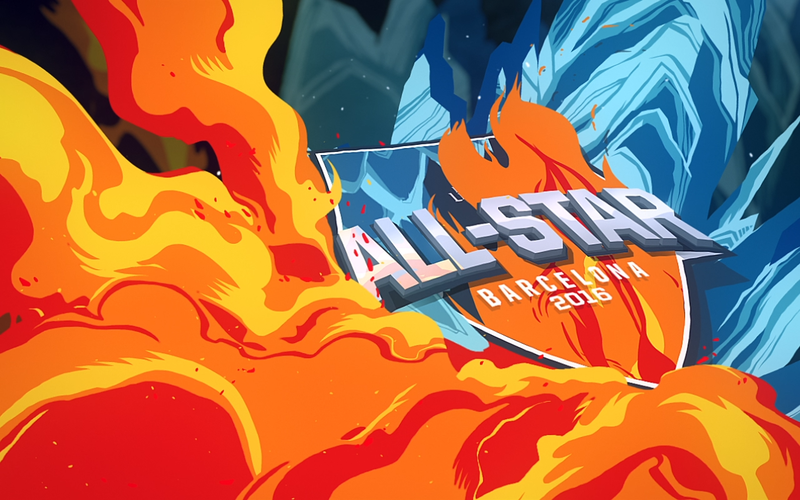 Surrender at 20: 11/21 PBE Update: Camille, new Braum, Graves, & Karma skins, 2016 All-Star login, LotPK Changes, and more! 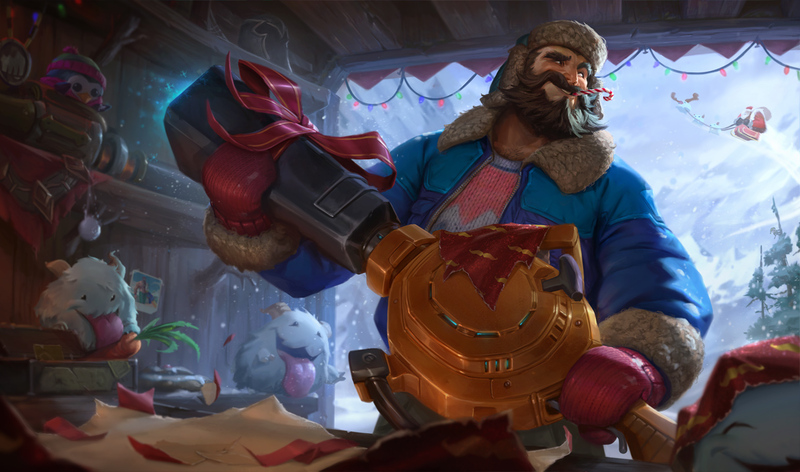 As we start the 6.24 PBE cycle, the 11/21 PBE update update includes our newest champion Camille, new Snowdown skins for Braum, Graves, and Karma, new ward skins & summoner icons, 2016 All-Star Login theme, several tentative balance changes, and more! 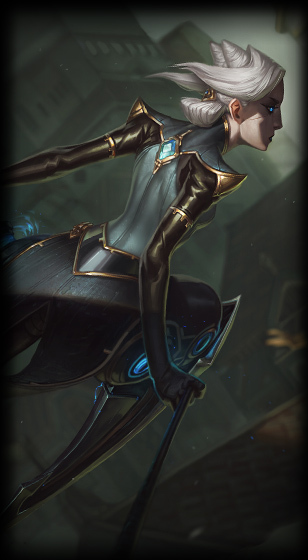 Following her reveal, our latest champion CAMILLE, THE STEEL SHADOW is now on the PBE for testing! Camille is an AD oriented fighter / diver. 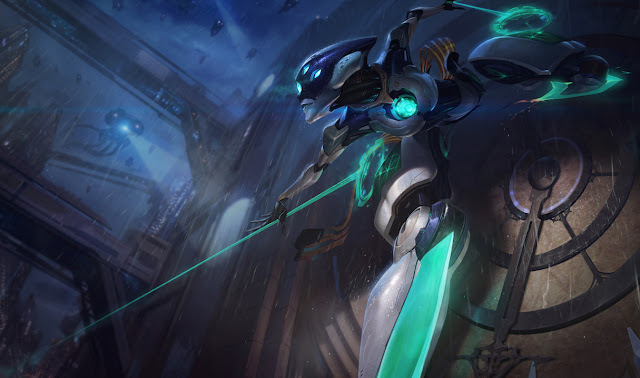 Bug reports go [here]. 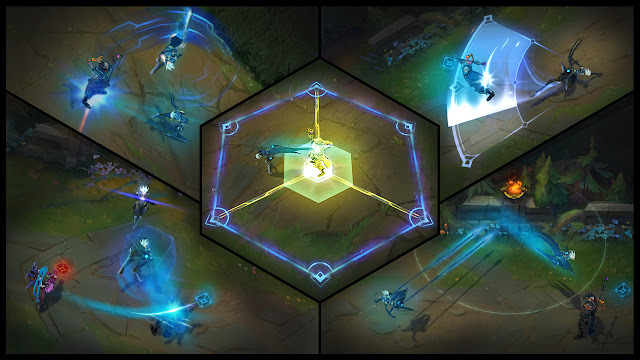 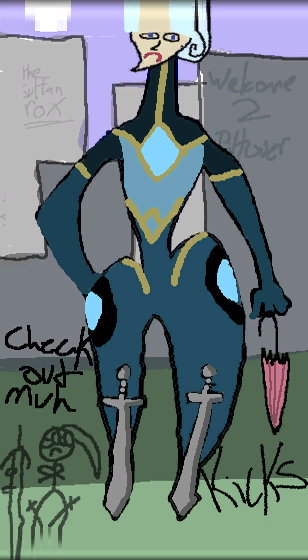 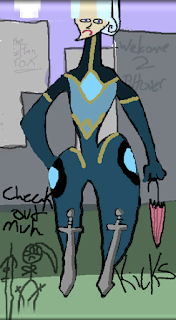 Camille's next basic attack deals [20/25/30/35/40% total AD] bonus physical damage and increases her movement speed by 20/25/30/35/40 for 1 second. 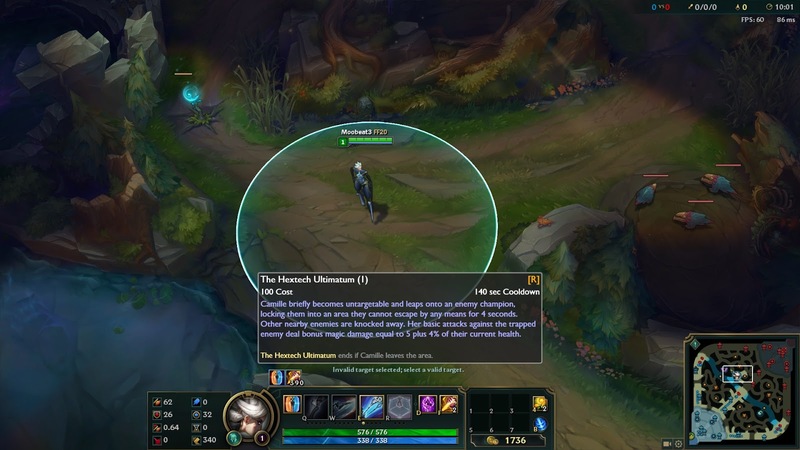 This ability can be recast in the next 1 second at no cost. 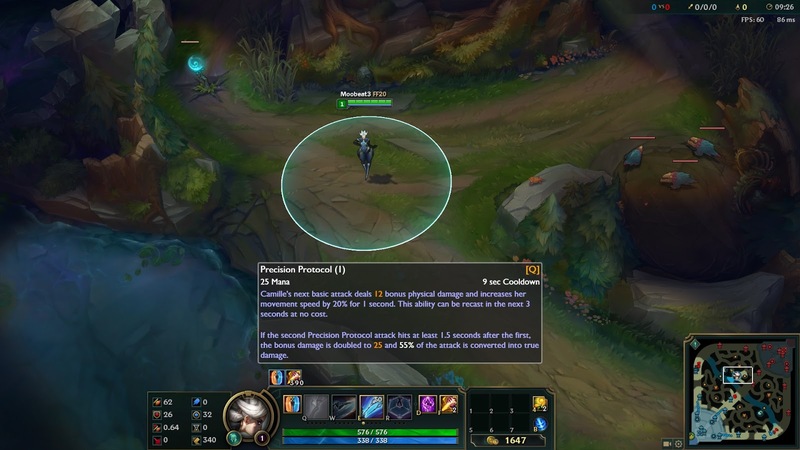 If the second Precision Protocol attack hits at least 1.5 seconds after the first, the bonus damage is doubled to X and [55% - 100% based on level] of the attack is converted into true damage. 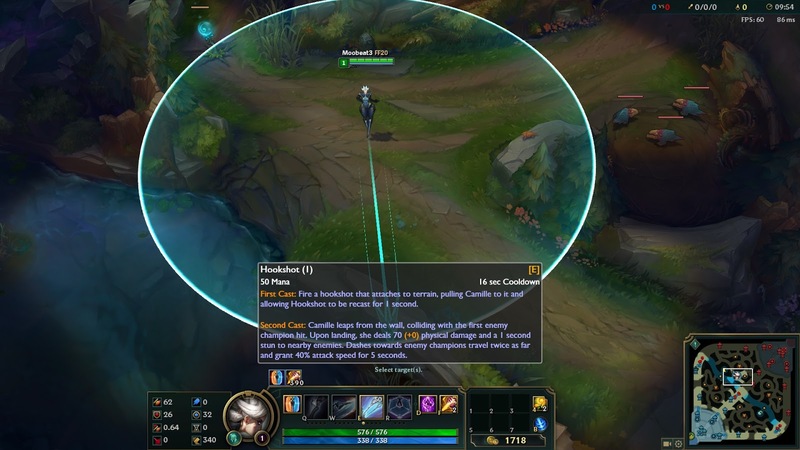 First Cast:Fire a hookshot that attaches to terrain, pulling Camille to it and allowing Hookshot to be recast for 1 second. 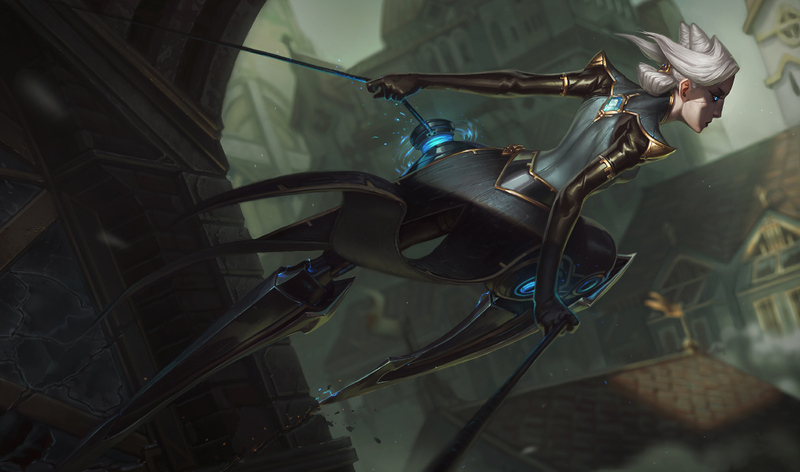 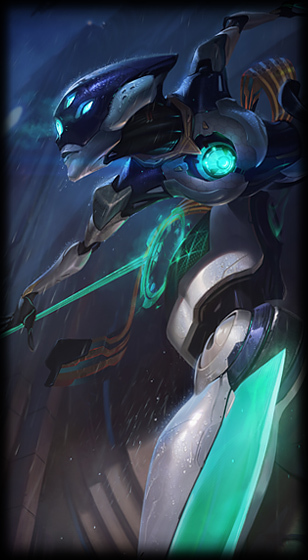 Second Cast:Camille leaps from the wall, colliding with the first enemy champion hit. 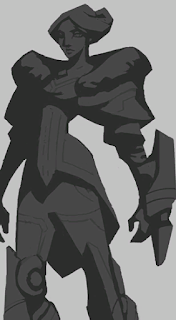 Upon landing, she deals 70/115/160/205/250 (+75% bonus AD) physical damage and a 1 second stun to nearby enemies. 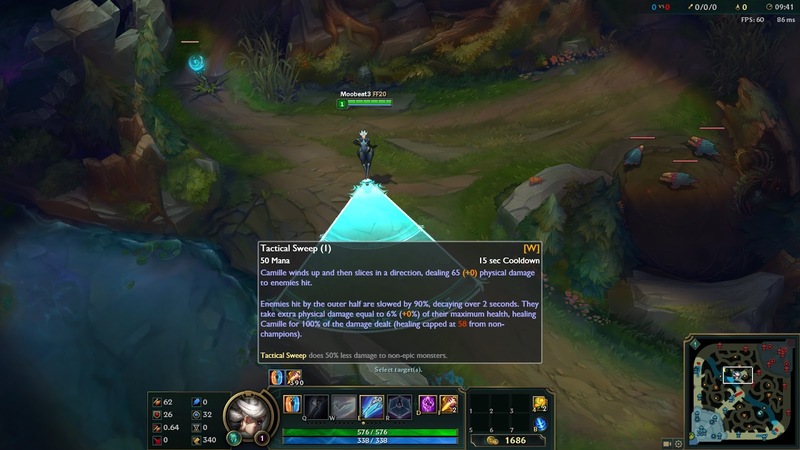 Dashes towards enemy champions travel twice as far and grant 40/50/60/70/80% attack speed for 5 seconds. 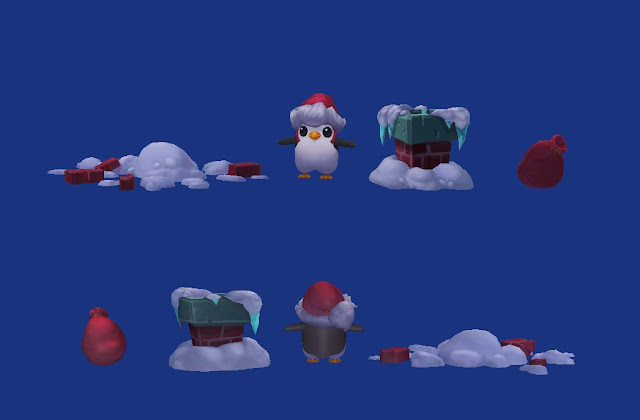 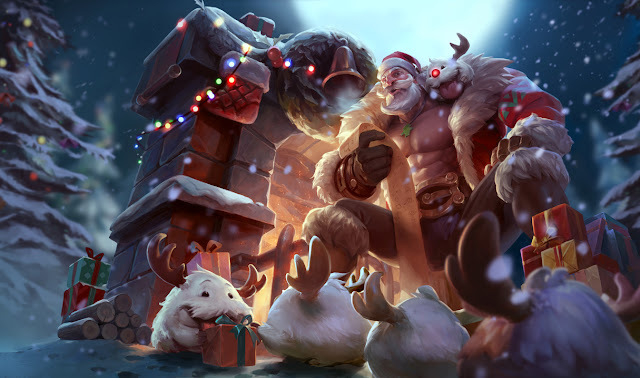 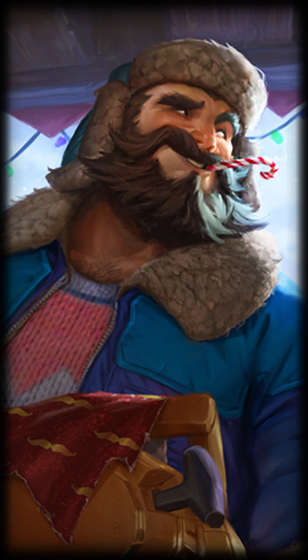 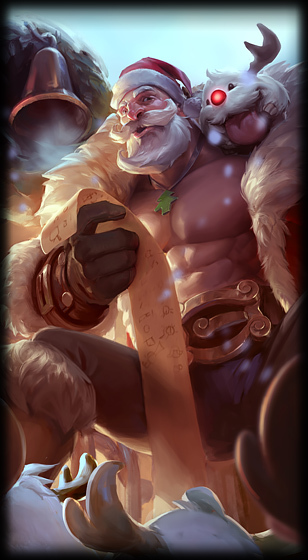 Three new holiday skins are now on the PBE for testing - Santa Braum, Snow Day Graves, and Winter Wonder Karma. 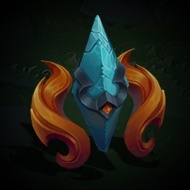 Assets for two new ward skins hit the PBE in today's update, although they are not yet enabled for testing. 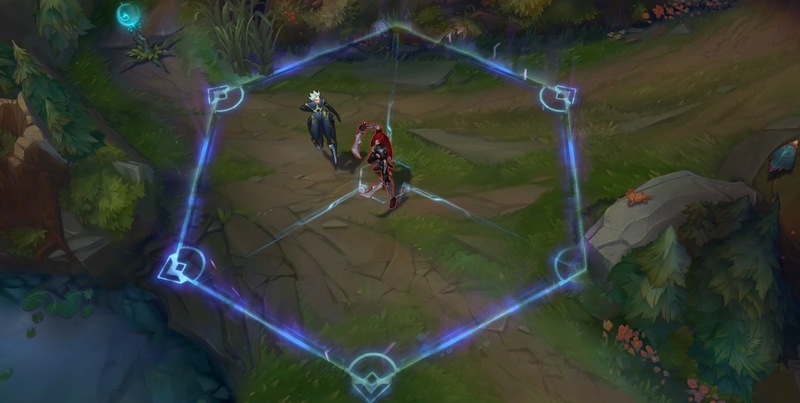 Dark Wind (E) [new effect] " If there are no nearby enemies, Dark Wind will bounce off of Fiddlesticks. " 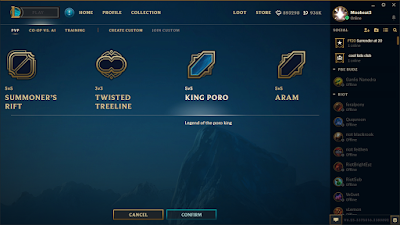 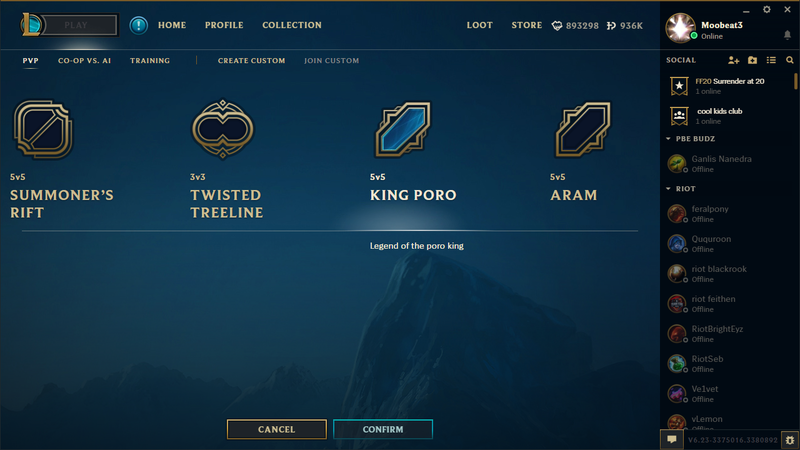 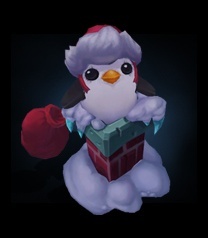 Legend of the Poro King is now available on the League Client update's mode selection menu - this is the first RGMQ mode to be enabled on the LCU.